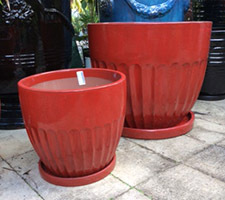 Jack pot fluted sides with saucer available in Black, Blue, Cream, Tropical Green, Tropical Red, Atomic Orange Atomic Yellow. Jack pot sm $42.50 Special price: $0.00. Not online sale.